Additional Info: I read music at Reading University, graduating with a BA (Hons) in 1986, and later gaining a PGCE at Exeter University in 1990. I have done teaching in schools and private tutoring. 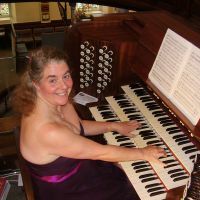 Currently I am Organist at St Anne's Church in Gunnislake, Cornwall, also regularly doing tutoring, service playing including weddings and funerals, accompaniment, orchestral and continuo playing and organ recitals both locally and around the country. Qualifications include ARCO, LRSM and ALCM.